RidgeCrest Migrane Relief- Soothe, comfort and relax your mind and body with Migraine Relief. this is a homeopathic formula that utilizes natural herbal remedies to relieve headache and migraine pain. As a migraine sufferer, I can tell you right now that this isn't going to work. Or at least not if you have the kind of migraines I get (or used to get. Better living through pharmaceuticals. right? Okay, fine. No.). I've had migraines since I was seven years old and NOTHING worked. Except this fabulous migraine medication my doctor gave me when I was 31. Yes, for that many years, I had a constant headache. My parents weren't big on going to the doctor so the best I ever got was ibuprofen and that doesn't work for long. When I got old enough to go to the doctor on my own, hallelujah, an easy solution was found and I am migraine free (unless I forget to take the medication). Yes, I'll take this because why not? But I'm not counting on it to work miracles (like my current meds do). Natrol NuHair- This is the natural solution for hair rejuventation! This will help stimulate your hair follicles to thicken and strengthen your hair. Aside from the fact that eating the prenatal vitamins are more likely to help my hair, this is a full size product! Woohoo!! It's been several months since I've seen one of those in a Bulu Box. Mommi Protein 3-in-1 Protein- Made for pregnant women but great for anyone, this protein combines essential nutrients with whey protein and DHA for whole body wellness. Actually, I can use this because it's whey not soy protein! Calsura Lemon Lime- This is a powder packet that you use with water. It will help you get a high rate of calcium absorption. Well, I probably need more calcium so I'll drink this. Probium Probiotics Chewable Dietary Supplement- These are for kids. 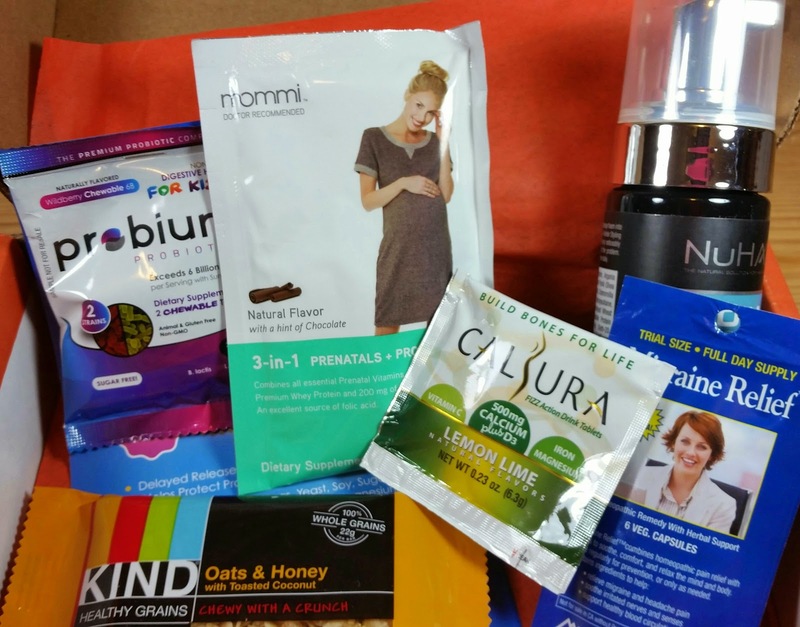 I'm really thinking that Bulu Box shouldn't have a Weight Loss box. They should have one box for all. Because kids vitamins, while tasty, are not weight loss related. These were tasty, I won't lie. I do wish there was more than one packet. And that they were adult concentrations. I don't know how many kids are ordering Bulu Boxes but I'm guessing the answer is zero. Quit putting kid vitamins in these! Kind Healthy Grain Clusters- One of the best things in the box, for sure. I love Kind bars! This is the Oats and Honey with Toasted Coconut. What's not to love about that?! Okay, I just opened it to try and it doesn't have enough coconut. It does have birdseed millet, buckwheat, quinoa and amaranth in it. Unfortunately, I'm not a bird and getting little crunchy seeds stuck in my teeth isn't my favorite thing. I was hoping this would taste better. Like the fruity ones you can get at Starbucks. VERDICT: Better than the last box but still not worth it. Especially for $10. With the Living Social deal you'll get each month for $5. I'm not continuing my subscription because I'm not interested enough in protein powders and vitamins for this to be worth it. 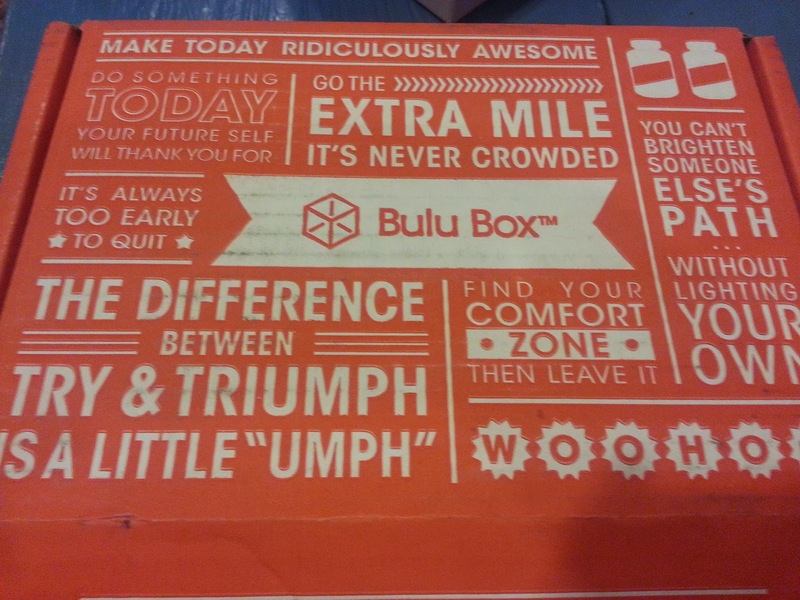 I wanted to love Bulu Box but I just can't. Bulu Box can be pretty hit or miss. Are you reviewing the samples you get for rewards points? It's actually sort of worth it if you aren't because the $15-$20 you can accrue at a time is enough to get some snacks from the shop. Yes, and I actually have snagged a couple nice things! I got that hair thing too, but it's a total loss on me since I'm not losing hair yet. Everything else was...flat. Blah.